Tokyo, Kyoto, Miyajima, Kurokawa, Takachiho, Yakushima and Fukuoka. 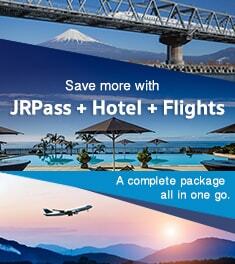 If you are looking for a holiday you will never forget, Japan is a fantastic choice. With top quality hotels, plenty to see and do, impeccable service and fantastic food, Japan is among the world's best for a luxury stay. 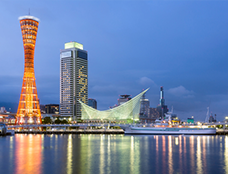 On this 14 day japan itinerary, you will be staying in some of the best hotels and resorts Japan has to offer in Japan's must-see locations. 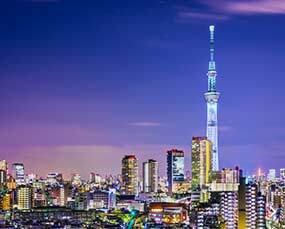 Tokyo is world famous for its dazzling lights and being home to more Michelin stars for food than any other city in the world. Kyoto, Japan's old capital city, has 17 sites that hold UNESCO world heritage status along with many other awe-inspiring temples and sites. Miyajima has one of the most photographed sites in Japan with the Itsukushima shrine, a huge red gate standing in the ocean. 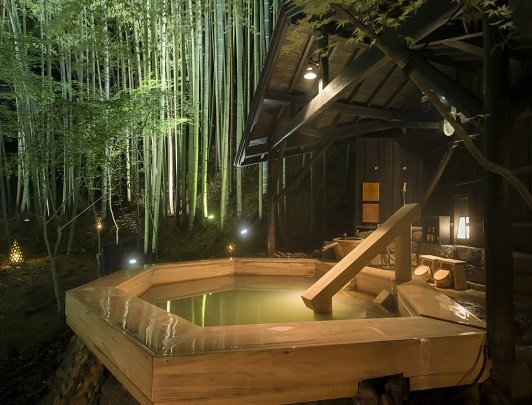 In Kyushu, you will stay in an onsen resort town in one of the finest ryokans in Japan. 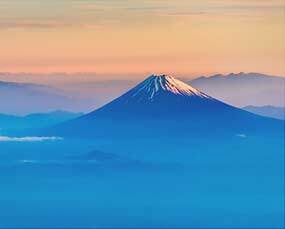 From here, you will get to experience some of the other gorgeous natural sites of Kyushu, including the still-active volcano, Mt. Aso, the magnificent Takachiho gorge and finally Yakushima, an island full to the brim with luscious greenery. This is an ideal honeymoon for those that want to relax and be pampered, but also are interested in experiencing one of the most fascinating countries in the world. 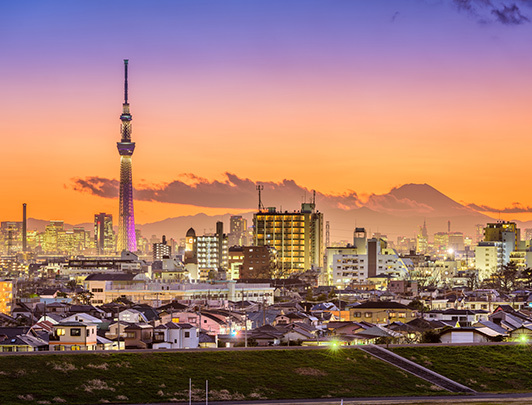 Welcome to Tokyo, the star attraction of countless movies and TV shows and renowned worldwide as a city that never sleeps with something for everyone. After arrival, there will be a private transfer to your hotel, the Park Hyatt Tokyo, one of Tokyo's finest hotels and a brand known worldwide. After you check in, you are free to relax or head out for dinner and drinks in any number of Tokyo's world-class restaurants and bars. Many people like to visit the busiest crossing in the world in Shibuya on their first night and find a nice bar nearby. Now that you have settled in, you have a full day to explore Tokyo in the day time. Today, you could book a tour of Tokyo to find your bearings or venture out on an adventure of your own design. 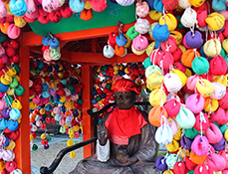 In the morning, we would recommend a trip to the Meiji Shrine, a rare tranquil location next door to the infamous Harajuku district, where you are likely to see Japanese fashion in full force - wacky clothing and all. In the afternoon, a trip to Asakusa where you will find one of Japan's most famous Buddhist temples, Sensoji. This area, once one of Tokyo's main entertainment districts, still maintains something of the spirit of Japan of days past. Conveniently, Tokyo Skytree is also in this area, so once you are finished wandering around the area why not have a look over the whole city? With your second full day in Tokyo, you have a lot of options. A sushi breakfast at the biggest (and busiest!) fish market in the world is something many enjoy and it may well be the best sushi you will ever eat. Tokyo National Museum has a fantastic collection from the whole range of Japanese history and as such is worth a visit if museums are of interest. If you feel like doing some shopping, we suggest heading to Ginza, the main shopping district in Tokyo and Japan as a whole. Whatever you do, we hope Tokyo is unforgettable. 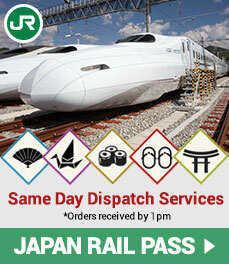 Today you begin using your Japan Rail Pass and head to the thousand year capital, Kyoto. Kyoto is synonymous with temples, many of which are truly spectacular. 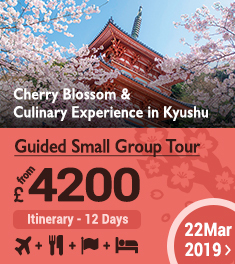 On your tour tomorrow, you will see Nijo castle and the Kinkakuji temple, so today you can either take it easy and go for a wander in Gion, Kyoto's most famous geisha district or head to Arashiyama, a pleasant district set in nature well known for its bamboo groves and home to many temples with lovely gardens. In the evening head for Kiyomizudera, another of Kyoto's most famous temples and one with a lovely view. Depending on the time of year you may be able to see the sunset. Today you are being taken on a day-tour of Kyoto and Nara. 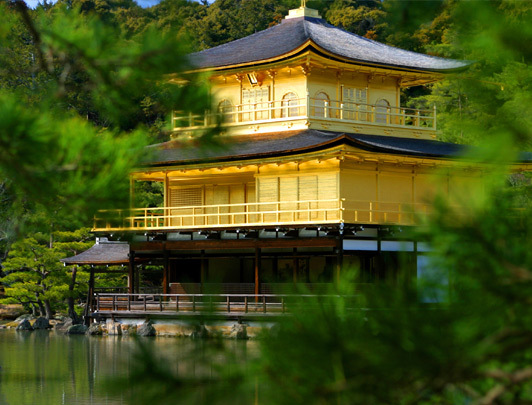 Starting in Kyoto in the morning, you will head to Nijo Castle, a beautiful and famous castle in the middle of Kyoto, the Golden Pavillion temple, Kinkakuji, the Imperial Palace and finally Kitano Tenmangu Shrine, a lovely Shinto shrine. After lunch, you will head for Nara, you will head for Nara park, where deer roam freely, before proceeding to the temple within the park, a magnificent building housing a giant Buddha. 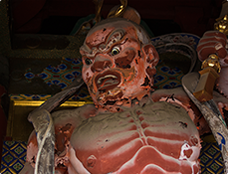 After this you will also visit a further two beautiful shrines in Nara. Your final day in Kyoto. Many people feel a trip to Kyoto is incomplete without a visit to the Fushimi Inari shrine, a series of thousands of red gates lining steps up a mountain, with great views from the top and a photo opportunity the whole way. 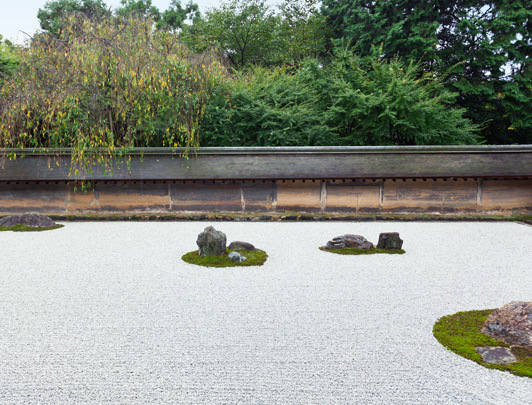 It's hard to go wrong in Kyoto, as everywhere you go, there is something else amazing to see. 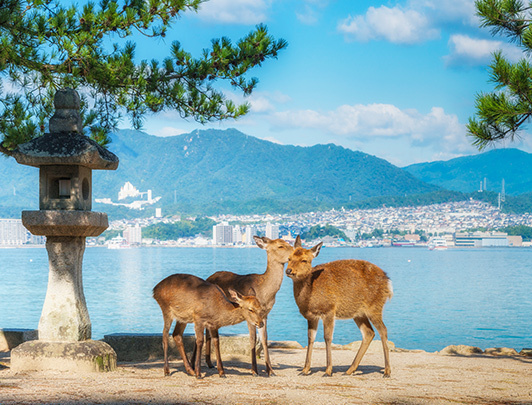 Today you head for Miyajima, where you will be staying in the first ryokan of your trip. 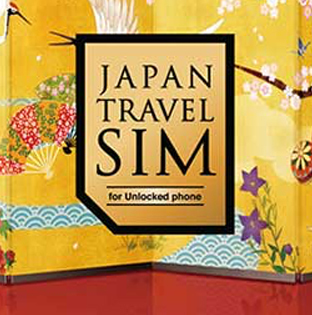 You will be treated to excellent meals and be able to try out Japan's amazing hot springs or onsen. 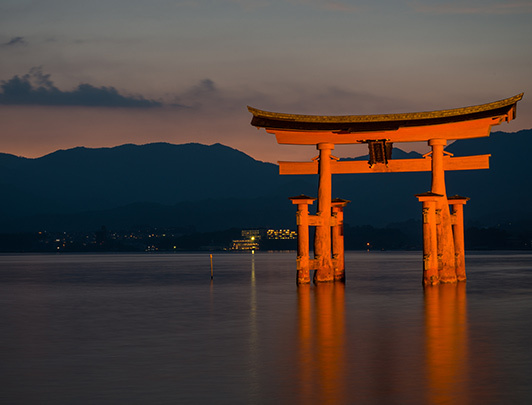 In the evening, admire the Itsukushima shrine from a distance, a shrine that emerges out of the ocean. 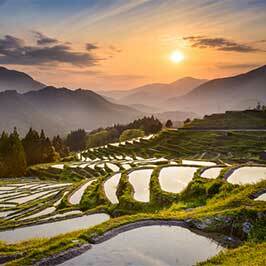 Today you head to the lovely island of Kyushu, somewhat off the beaten path but a fantastic place to visit. First, you will take the bullet train heading to Fukuoka. 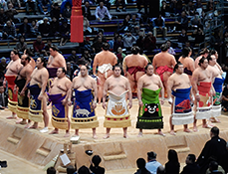 After lunch in the colossal Hakata station, you will have a private transfer taking you to Kurokawa onsen where you will stay in Takefue, a top end ryokan with amazing food, scenery and hot springs. 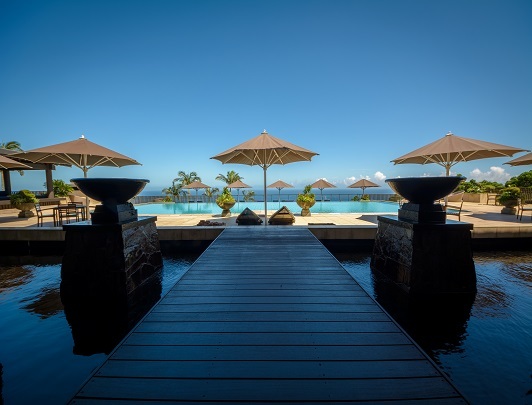 It is a truly perfect romantic retreat. Today, you will be privately transferred to Takachiho and Mt. Aso. 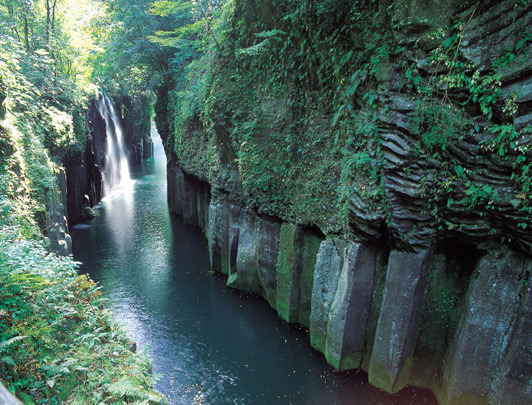 Today you will be exploring the Takachiho area, where there is a beautiful gorge, a true meeting place between nature and spirituality. It is famous in Japanese mythology as the place where Amaterasu, the sun goddess, came to hide. If you're feeling particularly adventurous you can row down this river, the waters of which are very tranquil. After, you will be passing Mt. 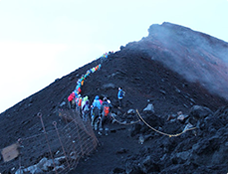 Aso, an active volcano where you can take a cable car up to the crater itself and watch it smoke. It's an experience not many will have. You will be privately transferred to Kagoshima, and from there it is off to Yakushima. 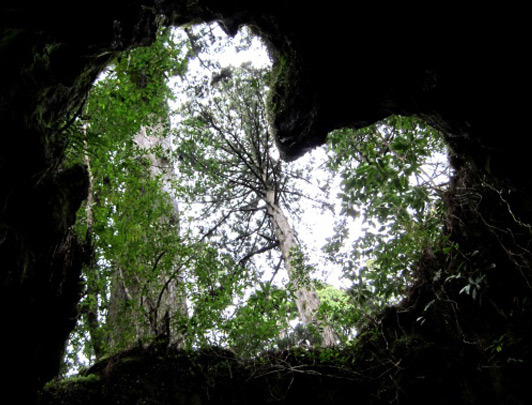 Yakushima, one of Japan's true natural wonders. This entire island was awarded UNESCO World Heritage Status due to its 'outstanding universal value'. If this didn't make it famous enough, it is also known as the inspiration for the exceptionally popular Studio Ghibli movie, 'Princess Mononoke'. If you enjoy nature and hiking, there is perhaps no better destination in Japan to head to than Yakushima. Today is your first full day on Yakushima. 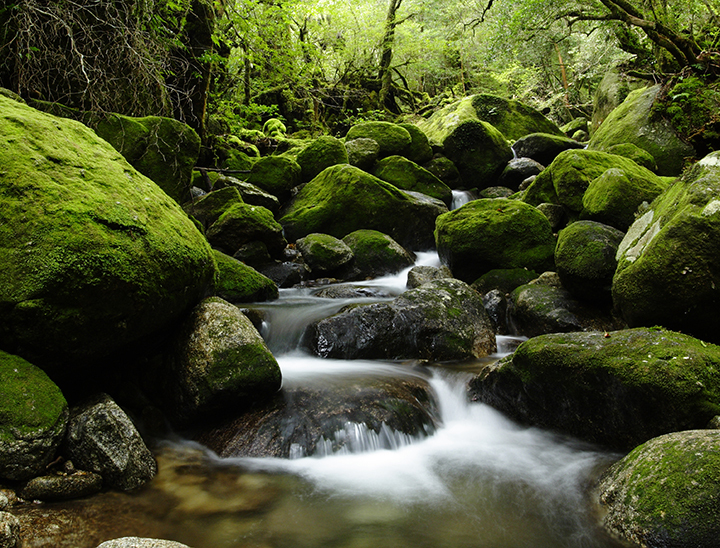 The main thing do to on Yakushima is enjoy the nature and the hike. On your first full day, we encourage you to try out one of the hiking trails through the island, passing Jomonsugi, the giant cedar in the middle of this forest. Some hikes are more taxing than others, but you are staying at a spa, so it's a perfect way to recuperate from a busy trip. Another day where you are free to explore Yakushima. Whatever hiking route you took yesterday, there are more that you can do today. The easiest walk is in Yakusugi land, which has boardwalk paths if you are not a confident hiker. Relaxing and enjoying the scenery from the hotel is another viable option. Alternatively, there are waterfalls on other parts of the island that are relatively easy to get to and very beautiful. From Yakushima you head back to Fukuoka. Fukuoka is a city that really comes alive in the night time, with great food and drink. As its your last night, we recommend trying out some of Japan's high-end dining. Ask at your hotel reception about the best place for 'Kaiseki', traditional Japanese multi-course meals with lots of small dishes of exquisite food. Alternatively, ask about the best place for sushi, Fukuoka has excellent seafood and many freshly caught fish, so make your last meal of Japan unforgettable with Japan's most famous cuisine. After you check out, you will be taken to Fukuoka to head home and start the rest of your life with your partner. We hope this has been a holiday you will never forget, and will bring you fond memories for years to come. 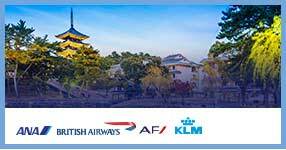 Find your perfect Japan Holidays by calling or send us an online enquiry. Please call us: +44 20 7611 0150 or make an enquiry. We will get back to you soon!